I have been photographing this little boy since 2009!! He was only 3 months old at our first photo shoot and now he is going into 4th grade and has 2 younger brothers who I have also gotten to photograph every year. Watching kids grow up before my eyes and in front of my camera is the best part about being a children’s photographer here in Bergen County NJ! I love getting to know my clients and capturing classic portraits that can be displayed in their home for many years to come. 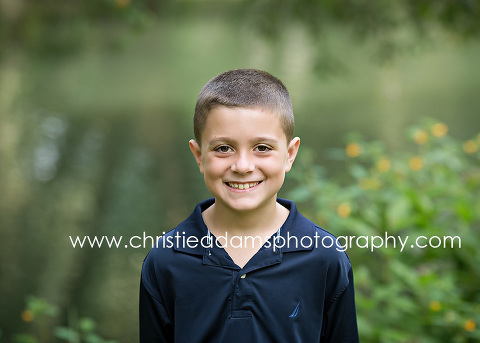 Christie Adams Photography has been a children’s photographer in Northern New Jersey since 2007 and has photographed over 950 families over the past 11 years. The studio is located in Glen Rock in Bergen County but sessions are also available outdoors at local parks in the Ridgewood / Wyckoff / Glen Rock and Franklin Lakes area. Specializing in timeless and classic portraits with the use of minimal props, Christie ensures that your images will stand the test of time and look just as beautiful on display in your home decades from now as they do today.